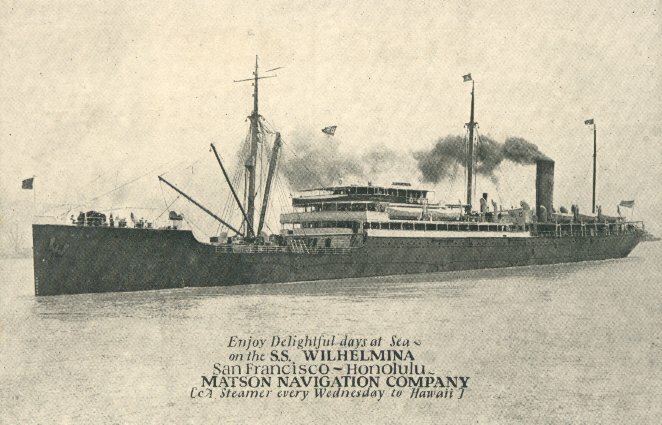 Matson Line's Wilhelmina was built by the Newport News Shipbuilding & Drydock Co., of Newport News, Virginia. She was one of a series of Matson combination passenger-cargo ships with their engines and funnels aft, producing a distinctive profile which is clearly seen on this page. 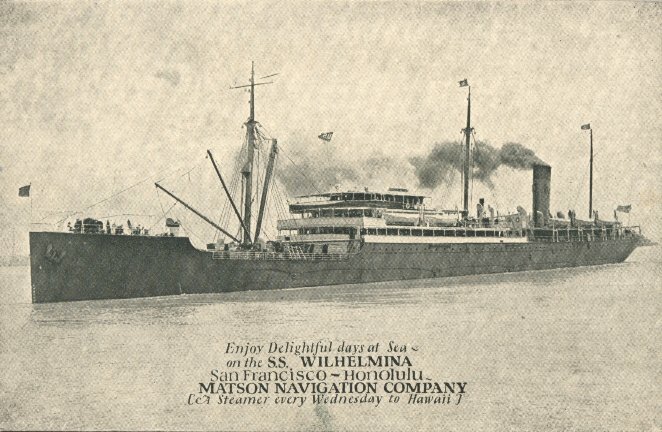 Wilhelmina entered Matson's San Francisco-Honolulu service on 10 February 1910. She also served as a World War I troopship from 1917 to 1919, and on Matson's Portland-Seattle-Honolulu service from 1928 to 1930. She made her last passenger-carrying trip in 1932, being used solely for cargo thereafter. She was torpedoed and sunk off the coast of England on 2 December 1940.